Millennials are the largest, most diverse, and most connected generation in history. We are also the most incarcerated. Millennials grew up during an unprecedented experiment in mass incarceration. We have watched that experiment fail. Today, over 70 million people have a criminal record, 2.3 million are incarcerated, and we spend $80 billion on a prison system that has a 70% failure rate. Our failed justice system affects our generation and our opportunities, and reform efforts present a rare moment for us to come together across political lines in an increasingly divisive atmosphere. As the largest voting bloc in the 2016 elections, millennials have the opportunity to call for reforms that have real impact on people’s lives. The “war on drugs” mentality of the 80s and 90s is now widely discredited by Democrats and Republicans alike. Prominent figures like House Speaker Paul Ryan (R — WI) who previously supported tough on crime policies have now openly recognized the failure of these policies. But decades of incarceration have left a lasting impact on communities nationwide. Over-incarceration affects our employment, housing, voting, and educational opportunities. Today, over three quarters of organizations conduct criminal background checks before hiring, and almost two thirds of colleges and universities use background checks in their admissions process. Previously incarcerated individuals may be denied the ability to work, get an education, or cast a ballot. Locking people up is very expensive. 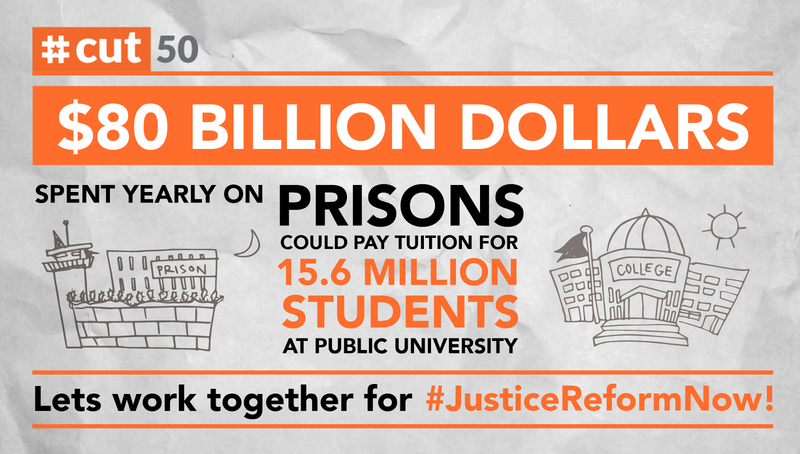 Our country’s failed experiment in mass incarceration actively restricts our future opportunities in another important way: it diverts federal and state funds from schools to prisons, leaving an entire generation with massive debt and underfunded school systems. 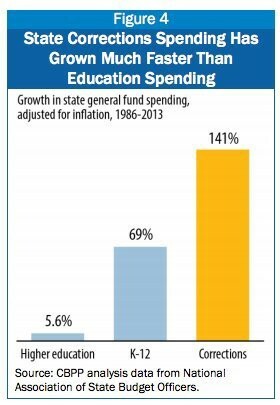 State spending on corrections grew by an astounding 141% over the last three decades, compared to a 5.6% increase in higher education. With fewer dollars supporting education, our generation faces greater debt, overcrowded classrooms, and fewer resources for future employment opportunities. 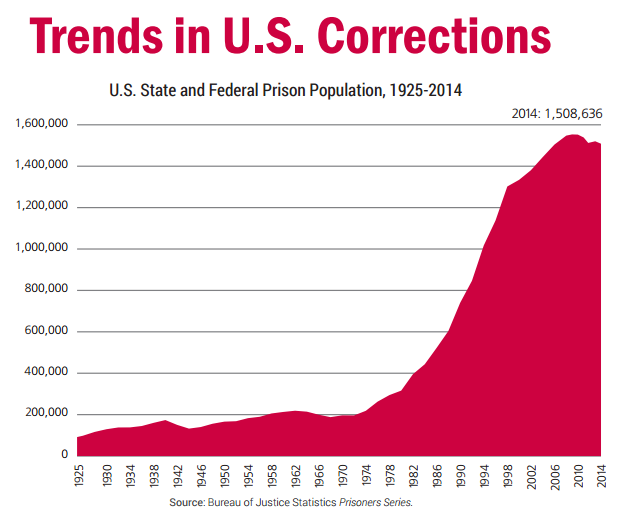 The skyrocketing cost of our prison system should be of grave concern. As the most diverse generation, we should also be deeply concerned about the ways the current criminal justice system disproportionately affects people of color. We have seen people of color bear the brunt of our broken criminal justice system. As a generation, Millennials already know we have a big problem. Nearly half of millennials believe America’s police and court systems are fundamentally unjust. Almost one in two millennials does not have confidence in the US judicial system’s ability to fairly judge people without bias for race or ethnicity. And some are already taking action. 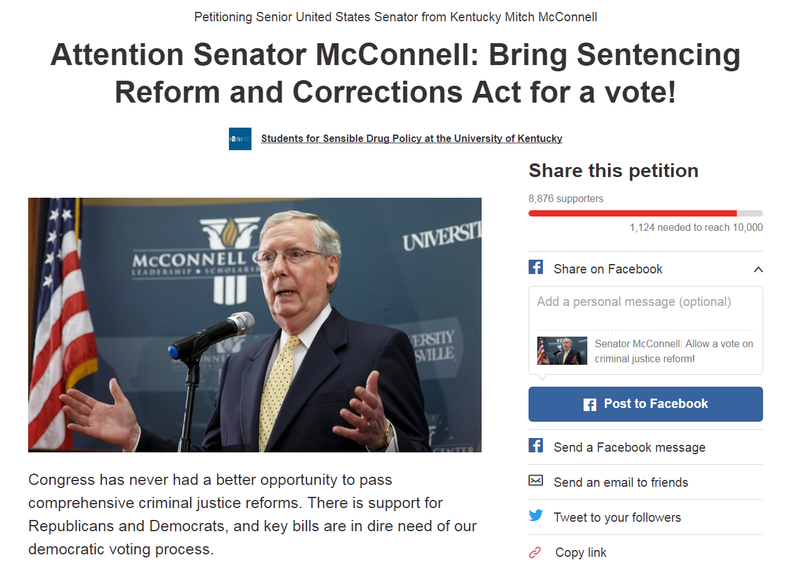 University of Kentucky’s Students for Sensible Drug Policy are petitioning reticent Senator Mitch McConnell to schedule a vote for a criminal justice reform bill currently in the Senate. And in March, the Friends Committee on National Legislation, a lobbying group run by Quakers, brought 400 young people to Capitol Hill to lobby in support of the Sentencing Reform and Corrections Act. As one-third of the total U.S. population, our voices constitute a powerful force that elected officials must heed. Join Amy Schumer and Steph Curry in signing a petition for #JusticeReformNOW demanding Congress take action to roll back the incarceration industry. Get in touch with your local Congresspeople to tell them their positions on these reforms matter. 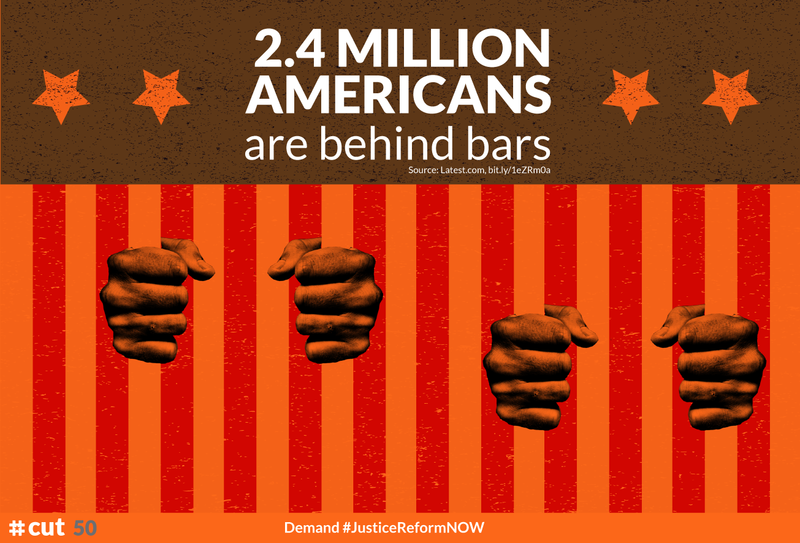 Make it clear to all Presidential, Gubernatorial, Congressional and local candidates in 2016: If you want our vote, put forward a bold, comprehensive plan to fix our broken criminal justice system. We have the power, and the responsibility, to make real criminal justice reform a reality. Erika Hoglund is a policy fellow at #cut50. She graduated from Princeton University with a degree in anthropology, and will be attending Stanford Law School this fall.